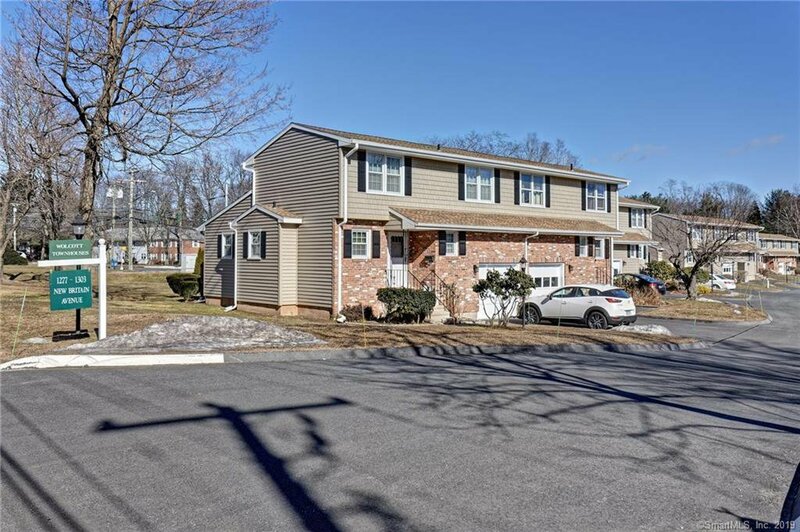 Fantastic West Hartford location END UNIT across from Wolcott Park in pet friendly complex! 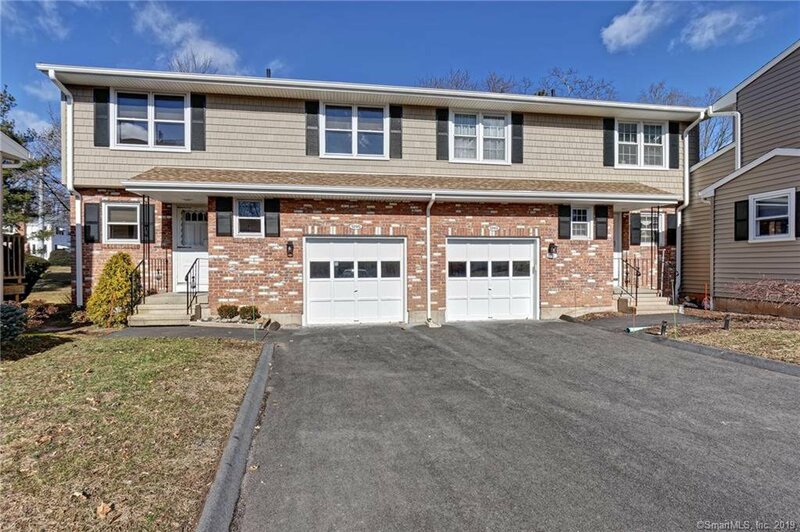 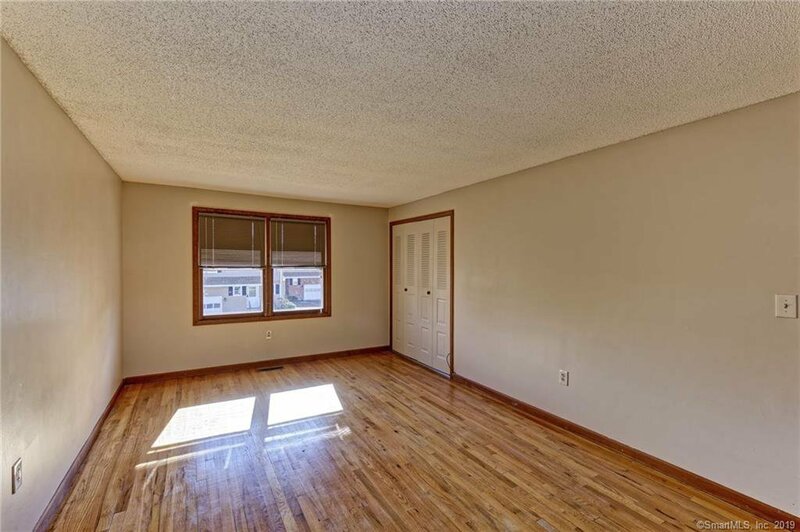 Only minutes to Corbins Corner, West Farms Mall and Blue Back Square shopping, schools, the bus line that connects to Fast Track, commuting highways and gardens! 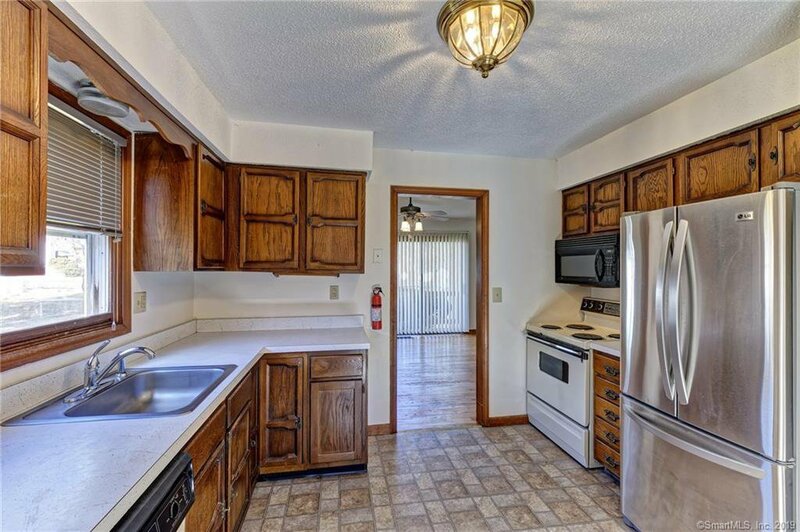 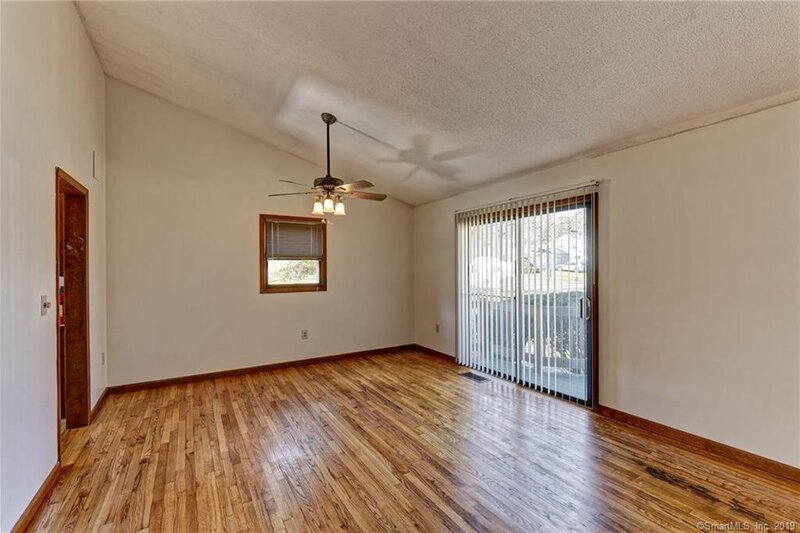 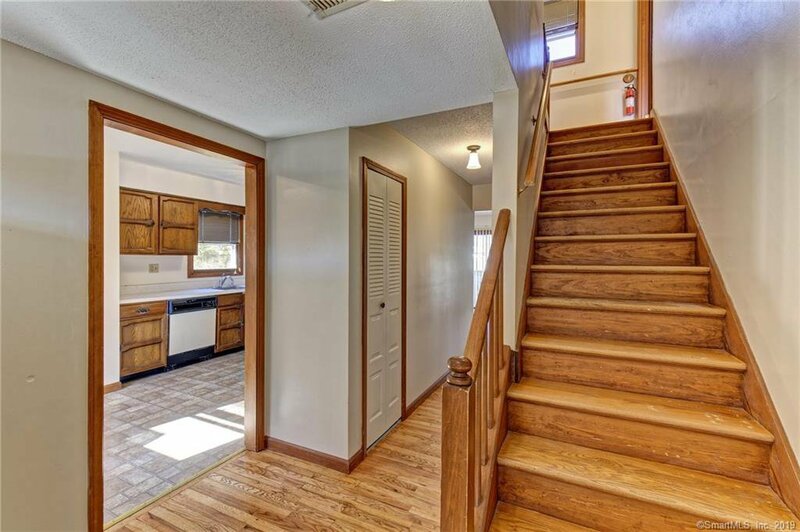 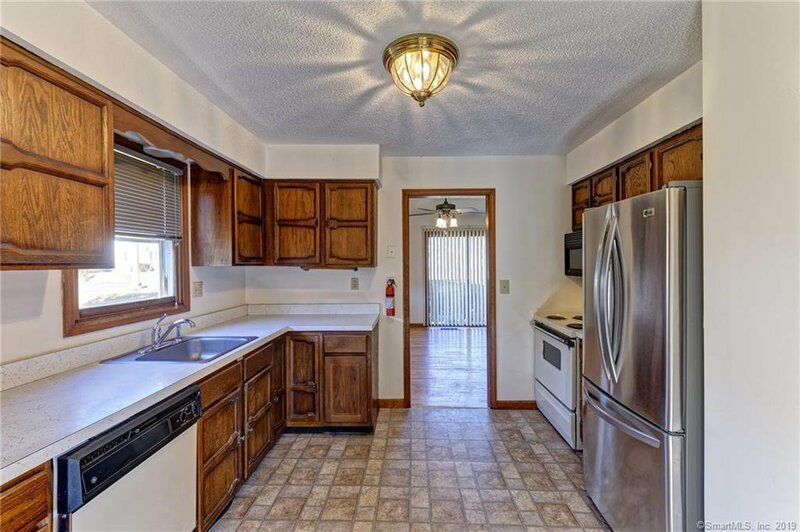 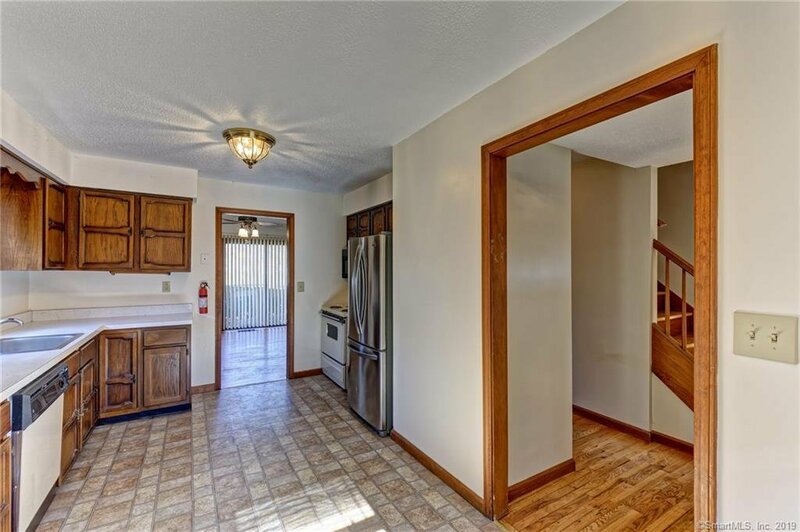 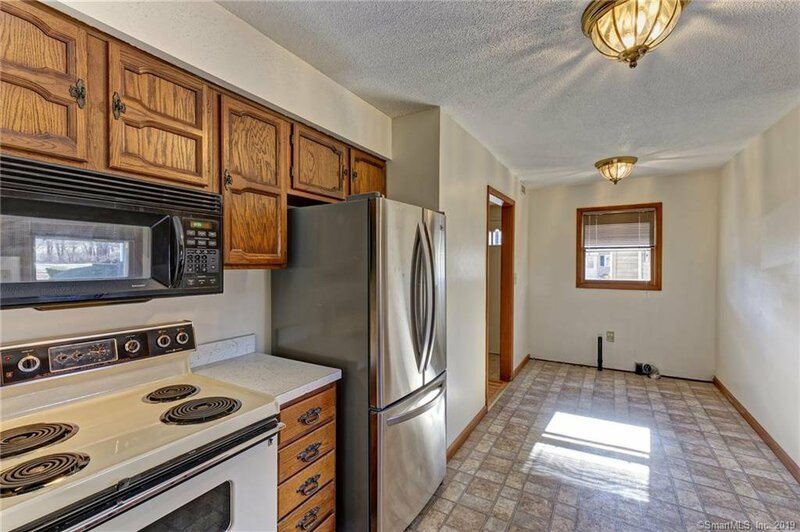 This spacious Townhouse features an open first floor complete with vaulted ceiling, eat-in kitchen, dining area, updated half bath and slider to a deck! 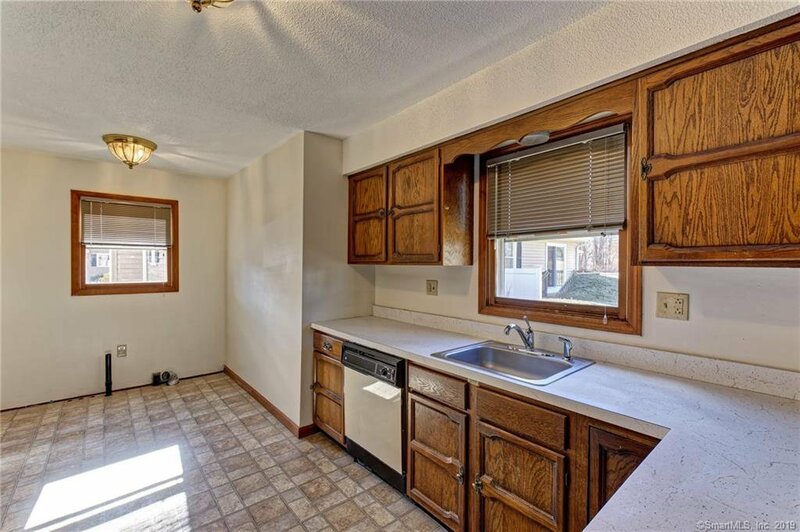 Washer and dryer hookups are conveniently located on the main level and in the lower level. 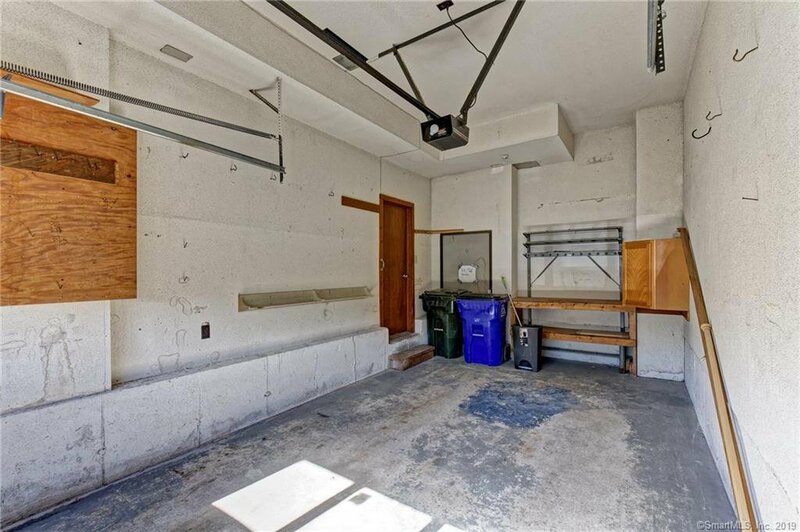 An attached garage offers a secure private entry and super additional storage! 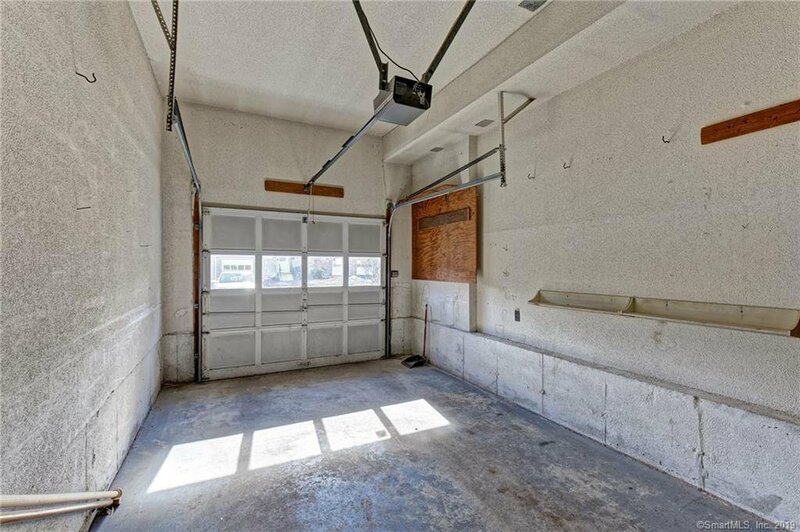 The driveway is extra long for this unit offering parking for two additional vehicles. 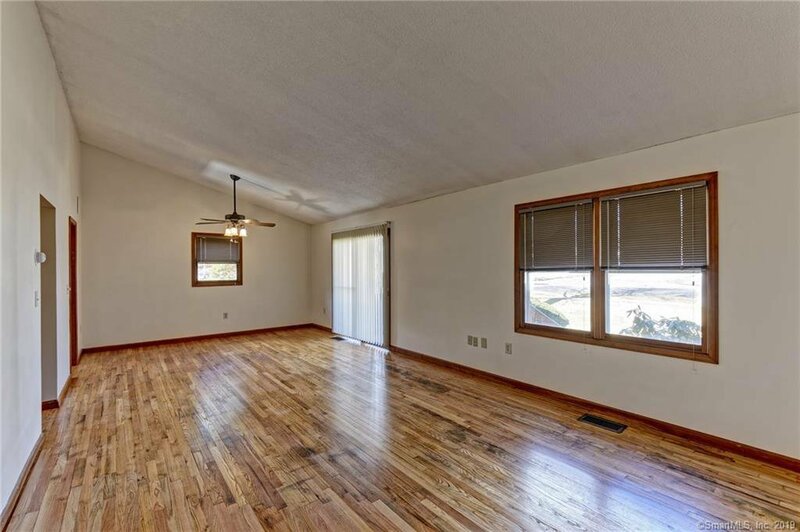 The second level features a Master bedroom with double closet and hardwood floors, plus a spacious guest bedroom. 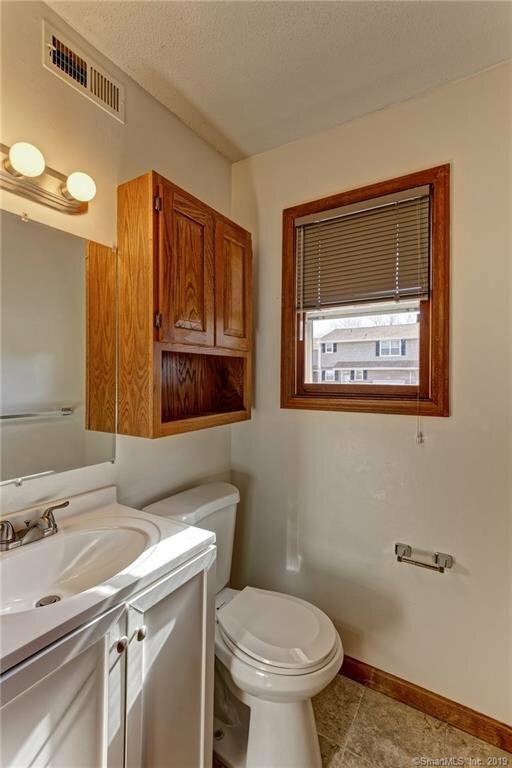 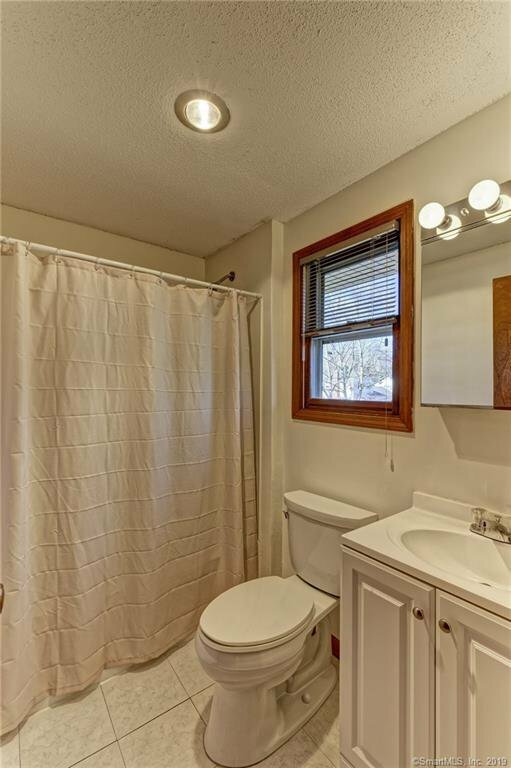 The full bath offers a new tub/shower, vanity and new flooring. 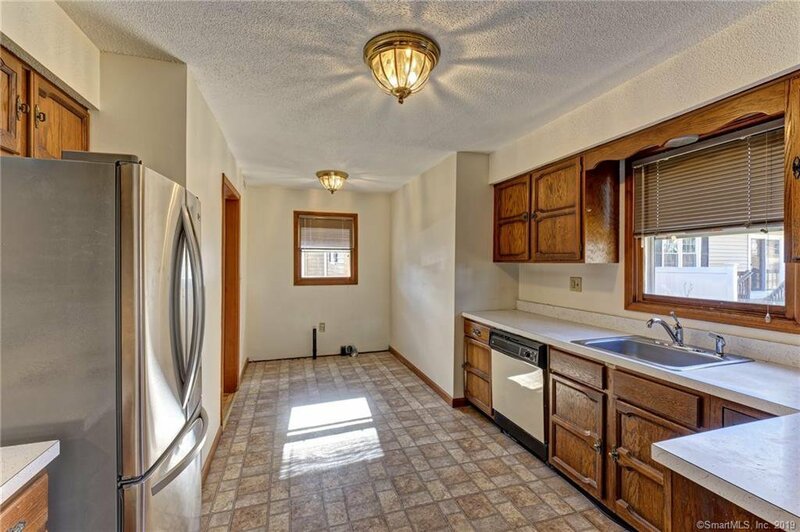 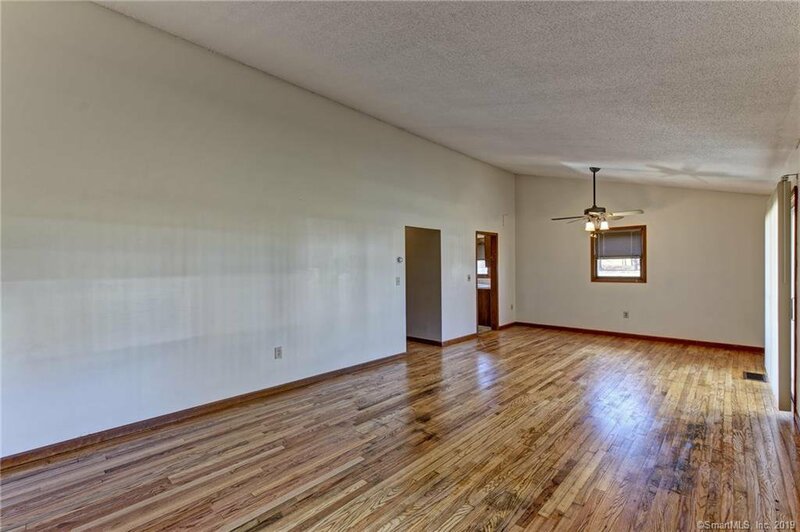 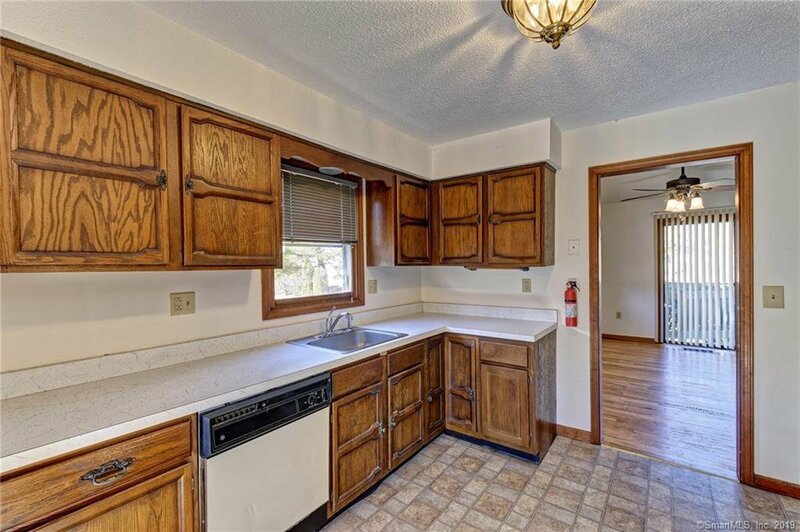 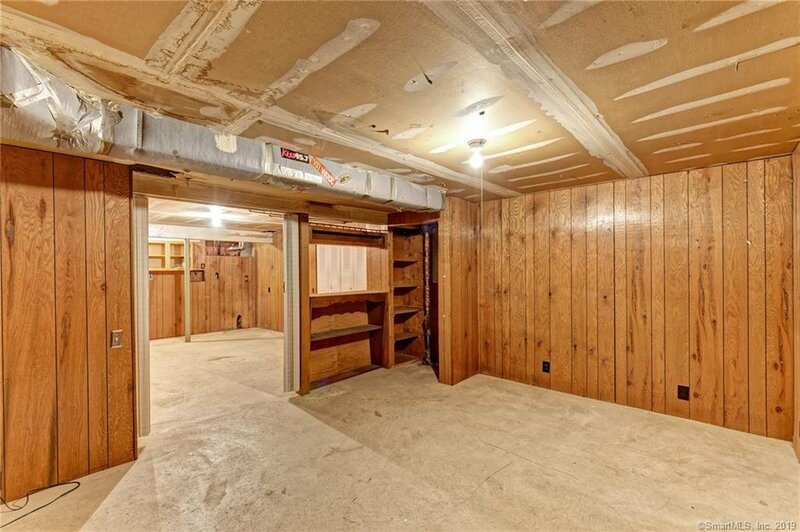 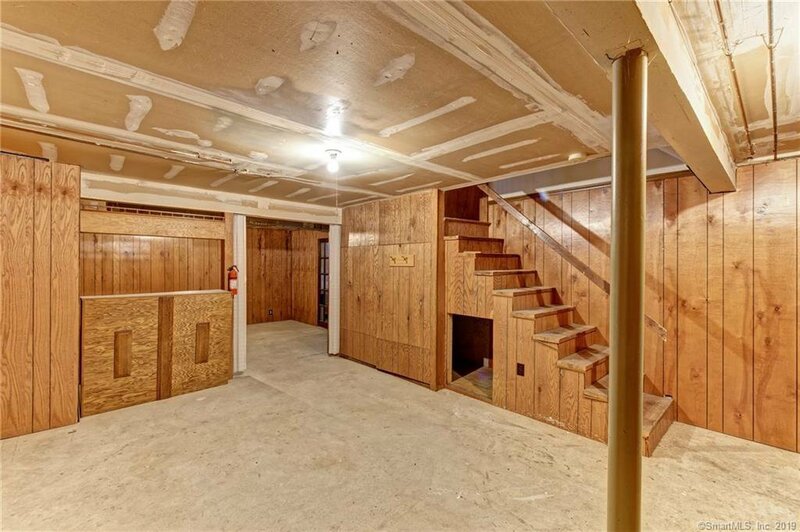 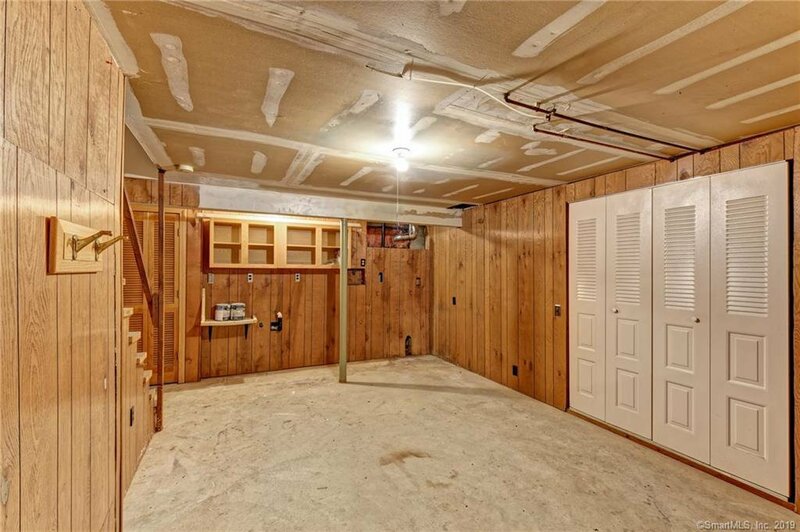 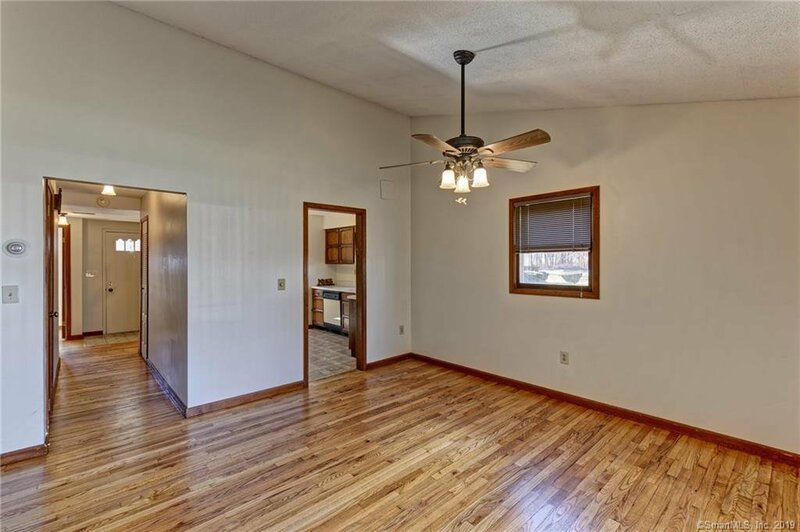 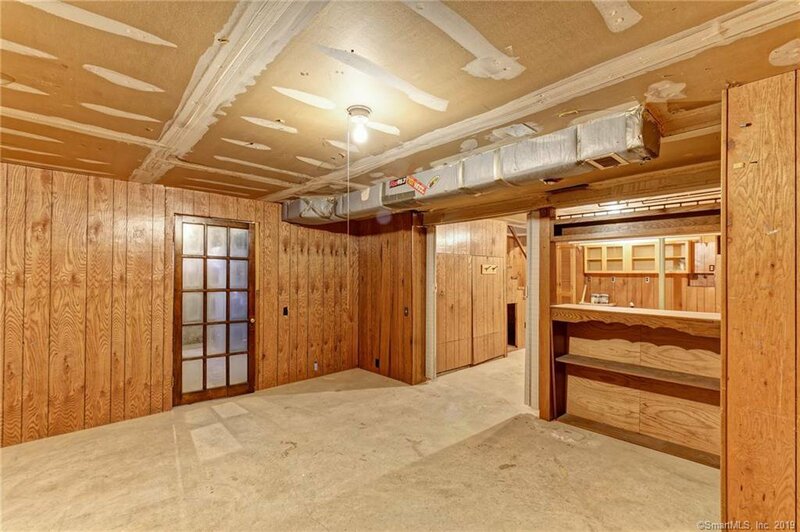 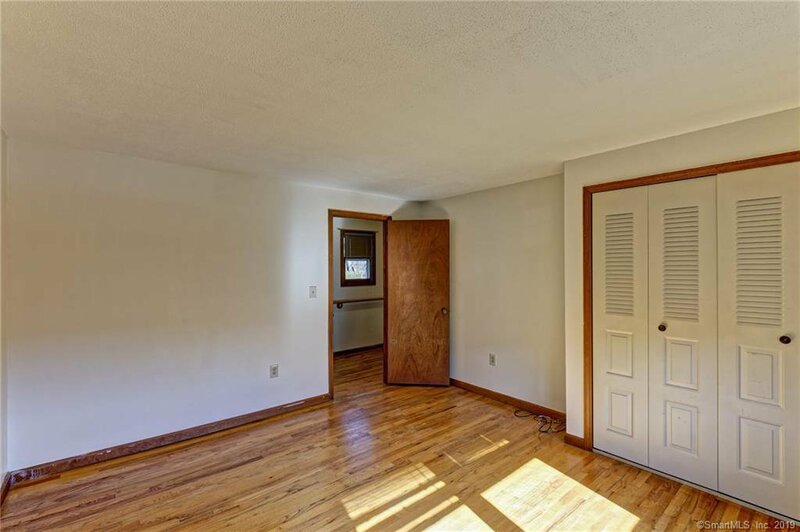 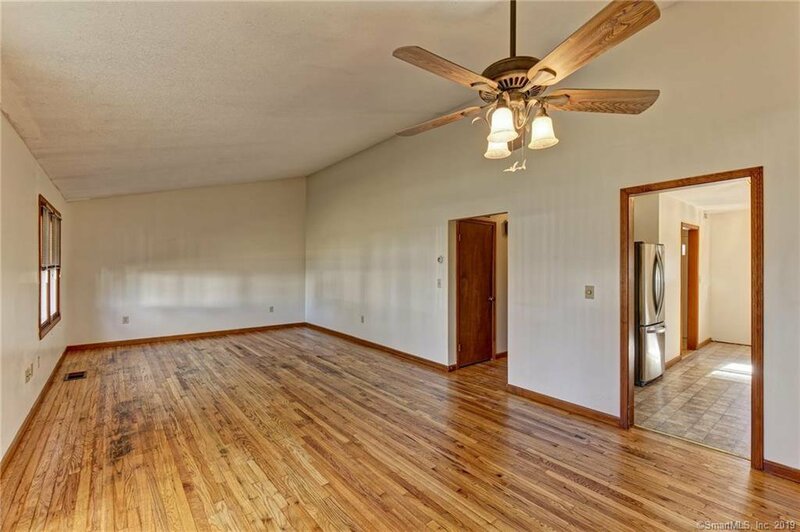 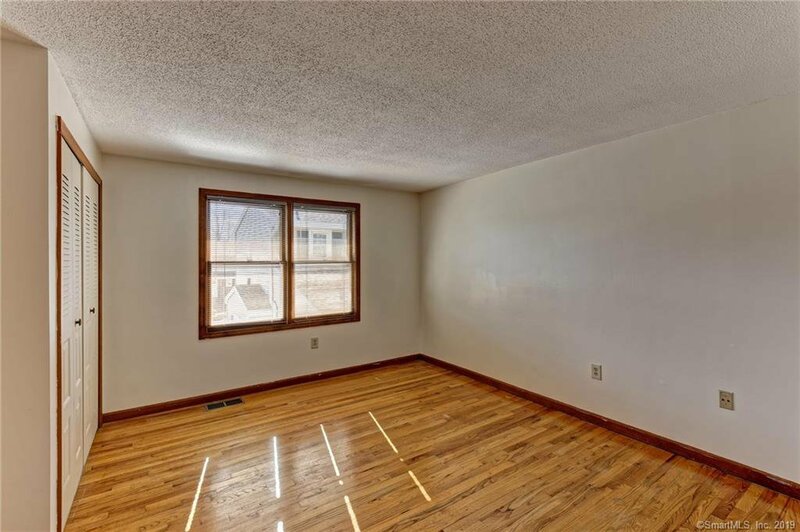 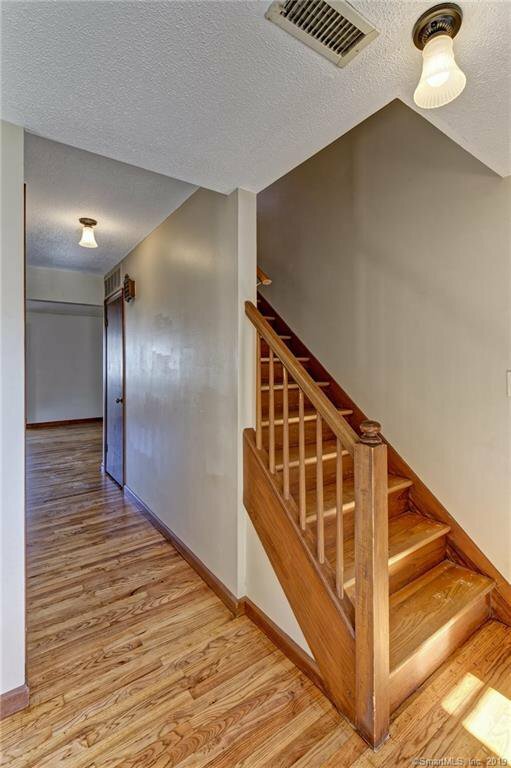 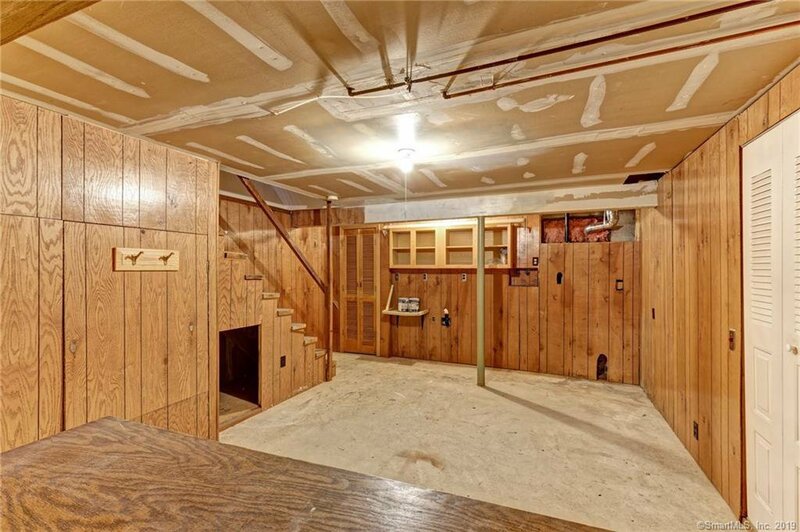 A full, partially finished basement offers space for hobbies and storage! 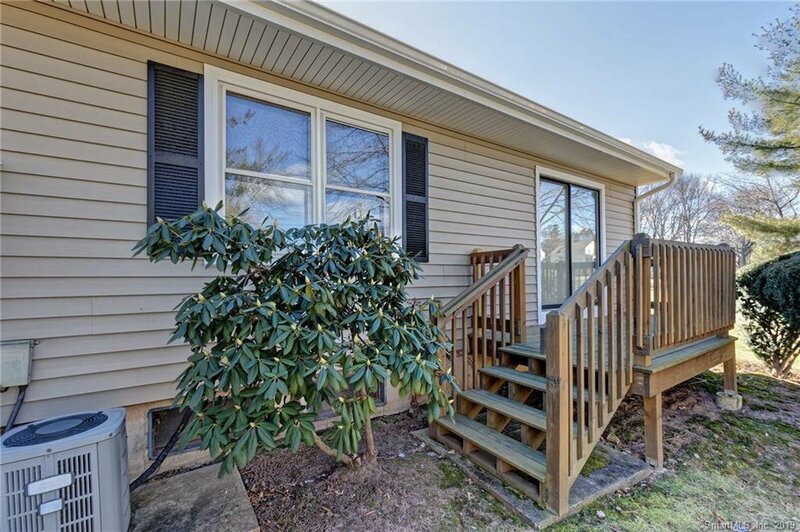 Recently improved exteriors offer new siding, roofs and paving. 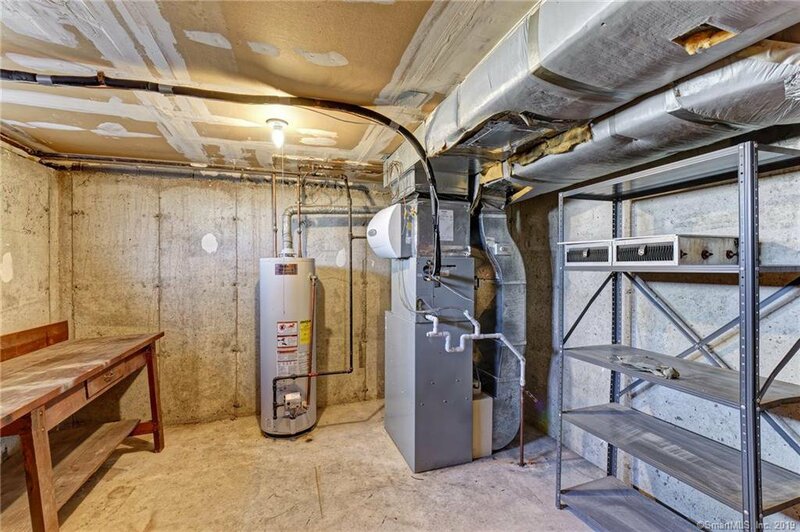 Mechanicals have been well maintained and include a new hot water heater and electrical panel. 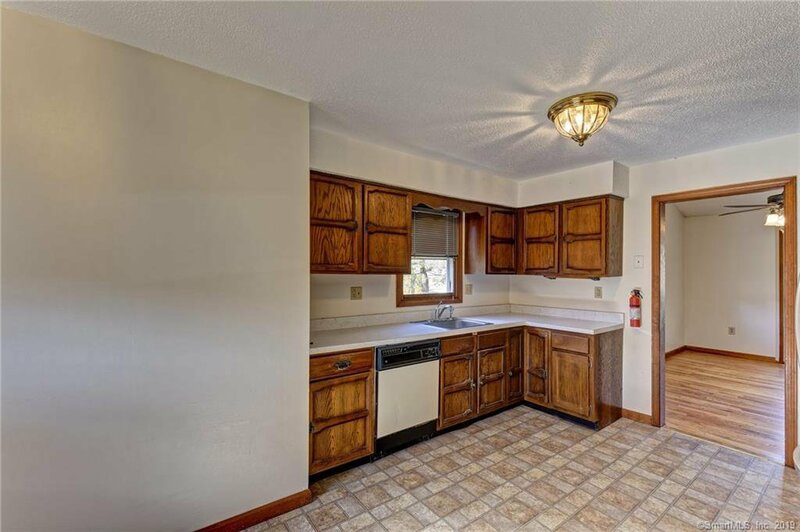 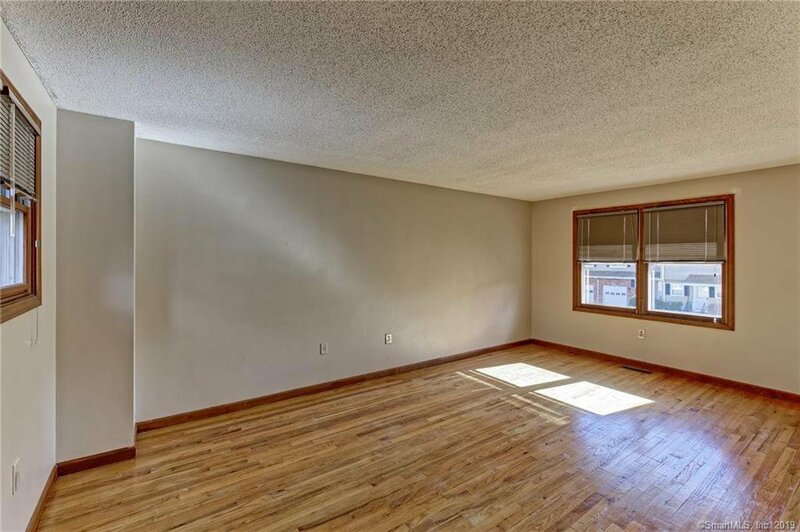 This unit awaits your finishing touches, offering an affordable living option with great structure! 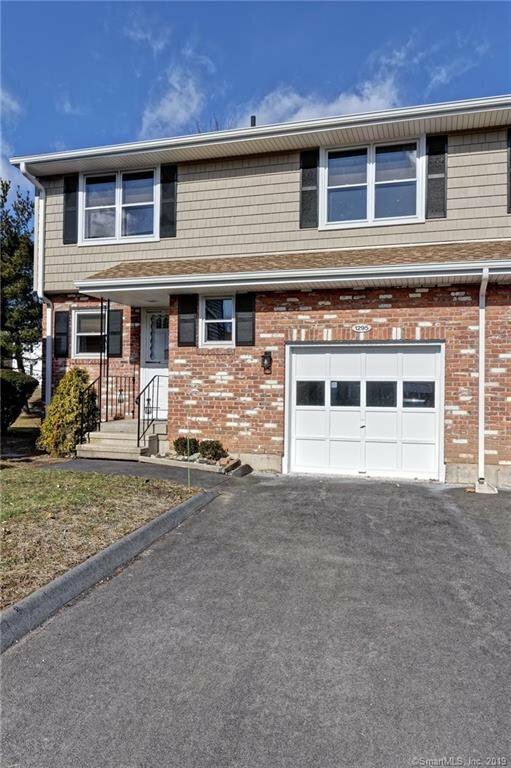 Listing courtesy of Re/Max Right Choice.